Why We're Different... 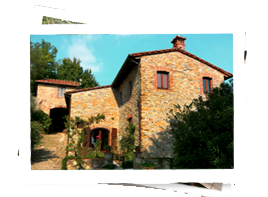 Renting an Italian villa for your vacation is a great way to experience Italy, together with family and friends. The cost is comparable to a hotel, but the experience far surpasses it. 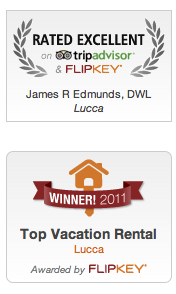 But how to you choose a rental villa from the thousands listed on the internet? 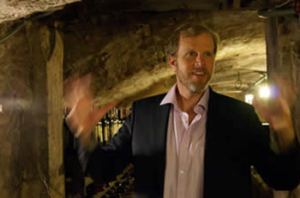 And how will you get the most out of the experience, without feeling herded on a full tour? DWL TRAVEL answers both of these questions. We offer historic rental villas, that we know and have selected for their location, comfort and history. And for your convenience, and at your option, we also offer a menu of optional activities, so you can organize a few fun events, without ever feeling the constraints of a full tour. After all, the beauty of Italy is being together with friends, and the possibility for the chance encounter, the unanticipated treasure, and actually meeting the Italians and sharing their beautiful way of life. Who We Are... I've lived in Tuscany for 15 years. It all started when I bought and restored the lovely Villa Aquilea, located in the most beautiful part of the hills around medieval Lucca, Tuscany. 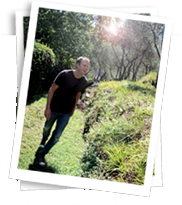 Through the years, it became one of the most successful rental villas in all of Tuscany, in part because of the villa and its location, but also because I worked hard to offer my guests opportunities to become involved in the area and to meet its amazing, fun-loving, passionate and welcoming people. I know just about everyone in the area, and over the years, friends asked me to represent their rental villas as well. I've referred my guests to some of the best tour guides, chefs and other locals who share my love of this magical place. Thousands of guests and counting! 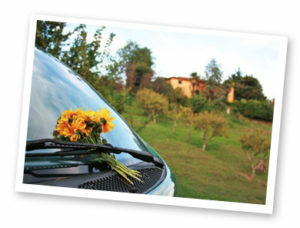 Thank you for considering us for your vacation in Tuscany! "Because everyone should be able to see these views" - DWL Travel is a proud supporter of the SEVA Foundation, a charity providing free eye surgery to correct blindness in the third world. For the summer of 2014, we are sponsoring a surgery clinic in Cambodia providing about 50 blindness-correcting surgeries. Thank you 2014 guests!!!!!!!!!!!!!!!!! Dear James, Aquilea was a dream, and I have passed it on to many friends, including the link to your website. We enjoyed it so much. Thank you…. in wiser years, we find ourselves in beautiful places like “downtown” Aquilea, enjoying caffe and pane, with our own butter and marmellata that Vanda kept in her refrigerator just for us. Unbelievable. Staying at the Villa gave us the chance to live, just a little, as a native. I call it the advanced experience. Our families have seen many of the beautiful highlights the cities Italy have tooffer. Now, we have stayed in a home, in a village, among great people. The question I got most often on our return was, “How was the wine of Tuscany?” My response never varied: “incredible, and itonly cost 1 euro for a refill.” I thank you also for the insight into the history of the area. Aquilea’s ordeal during WWII was frightening. One of the women we usually met at Vanda’s each morning remains thankful to this day to the British and Americans for rescuing her during that time. As you said in your email to Ernie, it’s about the people… we will return soon.